Mindfulness is a psychological approach to greater mental and physical well-being recommended by NICE and NHS. 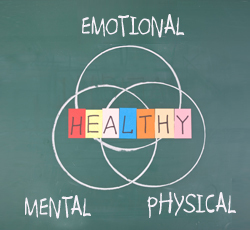 It is an integrative mind/body based approach that can help people to manage their thoughts and feelings. Recognised as a preventative practice for people with experience of recurrent depression, scientific research is now highlighting it as beneficial for a wide range of emotional, psychological and physical issues and conditions. It is used in both clinical and non-clinical settings because of the benefits that are associated with it. What can Mindfulness help with? Too often we spend our days on automatic pilot – worrying about the future, analysing the past and never really being present in the moment we are in. Mindfulness incorporates techniques like meditation and breathing to help you become more aware of your thoughts and feelings. Mindfulness is also said to have a positive effect on physical problems like hypertension, heart disease and chronic pain. Neuroscientists have confirmed that there is demonstrable evidence that this effective method of brain training, if practiced regularly, can positively change the architecture of the brain. This is exciting news and has tremendous positive implications for the treatment and management of a wide range of conditions. Blue Sky Mind – Evidence based clinical approaches to health, wellbeing and happiness. “Mindfulness has proven to be effective for children and young people, with school-based interventions having positive outcomes on wellbeing, reducing anxiety and distress as well as improving behaviour, among other areas .”(K Weare “Developing mindfulness with children and young people: a review of the evidence and policy context”, 2013). POSITIVE MINDS brings Mindfulness Training into the classroom and is a positive way of helping children, young people and staff to improve and manage emotional health and wellbeing. Please go to our Wellbeing In Schools section for more details. Positive Minds provides short-term interventions, sessions and programmes available for both Primary and Secondary Schools. We believe that positive minds create positive futures. Contact Anne for more information or to book sessions in your school or college. Mindfulness Training for Staff in schools, colleges and organisations. 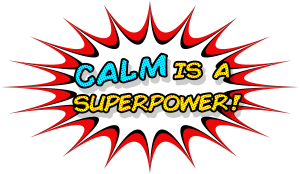 Staff wellbeing is crucial to the success of a school, organisation or business. In Mind Therapies delivers Mindfulness sessions and training programmes that can help boost staff productivity, creativity and confidence and support wellbeing by reducing stress. Anne Cartridge is a Mindfulness Teacher and Practitioner with over 13 years of experience in meditation and holds a diploma in Mindfulness Teaching and Practice. 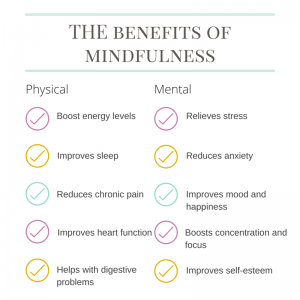 The Mindfulness Now Programme offers a fusion of key elements of MBSR (Mindfulness Based Stress Reduction) and MBCT (Mindfulness Based Cognitive Therapy). MBCT is recommended by ” NICE” as a treatment for depression. In Mind Therapies provide clinical mindfulness sessions, group work, workshops and staff training in mindfulness and mindfulness based techniques. Anne has developed Positive Minds – In Schools and Education Programme, which brings beneficial Mindfulness Training into the classroom. An advocate of supporting children and young peoples emotional wellbeing, she believes passionately, that giving them the tools to cope with thoughts and feelings and providing early intervention, plays a key role in preventing future mental health problems; it helps children to be happy, healthy and achieve their potential. Email contact@inmindtherapies.com for more details.